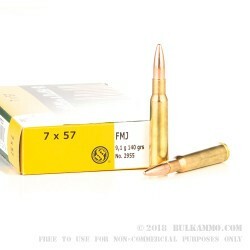 This Sellier & Bellot ammunition is the ideal choice for target shooting with classic rifles chambered in 7x57mm Mauser. 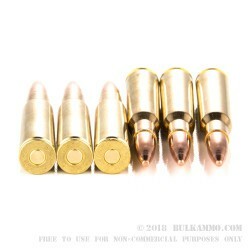 Inexpensive yet accurate, these rounds come in boxes of 20 and propel a 140 grain full metal jacket downrange at high velocity for excellent groups out to several hundred yards. 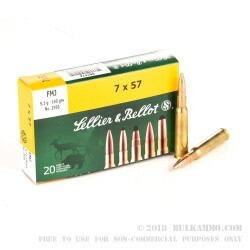 Sellier & Bellot is the oldest name in the ammo business, and its products reflect a strong commitment to both economy and quality. 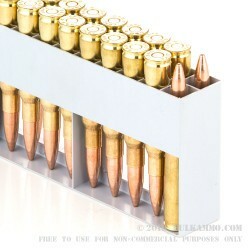 S&B ammo uses non-corrosive Boxer primers and brass cases and is manufactured in the Czech Republic. Take advantage of our great bulk pricing and pick up a few boxes today!